"Black Panther" was the big winner at the 2018 MTV Movie & TV Awards taking home the prize for Best Movie. HOLLYWOOD—She was the breakout movie star of 2017 and it seems she is riding that success into 2018 with a bevy and I mean a bevy of films to come. Who am I referring to? I’m referring to Tiffany Haddish, who hosted the 2018 MTV Movie and TV Awards. For the consecutive year, the ceremony has chosen to eliminate the notion of gender specific categories and opened the horizon to the best performances. I said this in 2017 and I will say this again: this is ingenious! This is something many more award shows should consider doing because you cut down categories and really highlight the best of the best without things having to look gender specific. 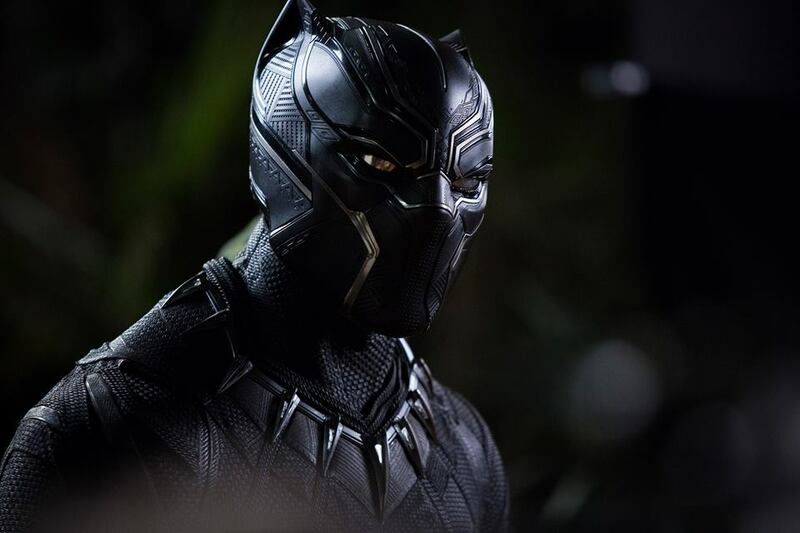 “Black Panther” was the big winner of the night taking home four trophies including Best Movie. Haddish is proving her breakout as a comedian is not short-lived as she served as emcee for the show and delivered a ton of laughs. Things kicked off with a spoof of the popular “Black Panther” flick, but with Haddish taking on T’Challa herself. It was hilarious and with assists by Queen Latifah, Lil Rey Howery and Jada Pinkett Smith, the laughs were only heightened. Her rap to the beat of Cardi B’s hit “Bodak Yellow” was hilarious. Haddish is proof that a breakout star can indeed blow up overnight and carry that success for months to come. The first award of the night for Best Scene Stealer went to Madelaine Petsch for “Riverdale.” Slightly surprised, I really thought the ceremony would pay tribute to its hostess, but not so much. The Golden Popcorn for Most Frightened Performance went to Noah Schnapp “Stranger Things.” Yeah, I can already see where things will be headed for this awards ceremony: it’s a popularity contest. Best Hero was a victory for Chadwick Boseman for “Black Panther.” It was indeed a moment to see Boseman hand off his award to the man who fought off a shooter at a Waffle House restaurant in Tennessee several weeks ago. Now that is what you call outstanding America. Another hilarious skit was seeing Haddish go toe-to-toe with Kylo Ren from the “Star Wars” franchise. Chloe X Halle took the stage to deliver a futuristic performance that rocked the house. Best Kiss, which has produced some of the most iconic moments in the history of the MTV Awards delivered another fun moment this year. Why? The prize went to Nick Robinson and Keiynan Lonsdale for “Love Simon.” Lonsdale delivered a powerful speech about embracing your sexuality and being yourself. Haddish got her moment to shine on stage taking the prize for Best Comedic Performance for her role in “Girls Trip.” Not surprised that “Keeping Up With the Kardashians” on Best Reality Series, even though it’s not really that interesting because everything that happens on the show, you already know weeks, perhaps months ahead of its actual air time. When it comes to Best Villain it was a victory for Michael B. Jordan from “Black Panther.” Jordan took a jab at Roseanne that was quite cringe-worthy to say the least. Lady Gaga, the upcoming star of the remake “A Star is Born” presented the final award of the evening for Best Movie to “Black Panther.” No surprise there America because the movie took audiences and the box-office by surprise. So with that the 2018 MTV Movie & TV Awards are a wrap. Now the question becomes what films and TV shows will take audiences by surprise in 2019? We’ll have to wait and see!